Few months back this is not possible but again Microsoft keep on improving their services frequently. Once of that surprise is allowing Azure vNet to vNet VPN connection. What can I do with VNet to VNet connectivity? You can set up your own geo-replication or synchronization with secure connectivity without going over internet-facing endpoints. With Azure Load Balancer and Microsoft or third party clustering technology, you can setup highly available workload with geo-redundancy across multiple Azure regions. One important example is to setup SQL Always On with Availability Groups spreading across multiple Azure regions. Within the same region, you can setup multi-tier applications with multiple virtual networks connected together with strong isolation and secure inter-tier communication. If you have multiple Azure subscriptions, you can now connect workloads from different subscriptions together securely between virtual networks. For enterprises or service providers, it is now possible to enable cross organization communication with secure VPN technology within Azure. So now it’s time to get our hands dirty and find out how to test this right In my step-by-step guide below I’m demonstrating this by using my two Azure subscriptions. 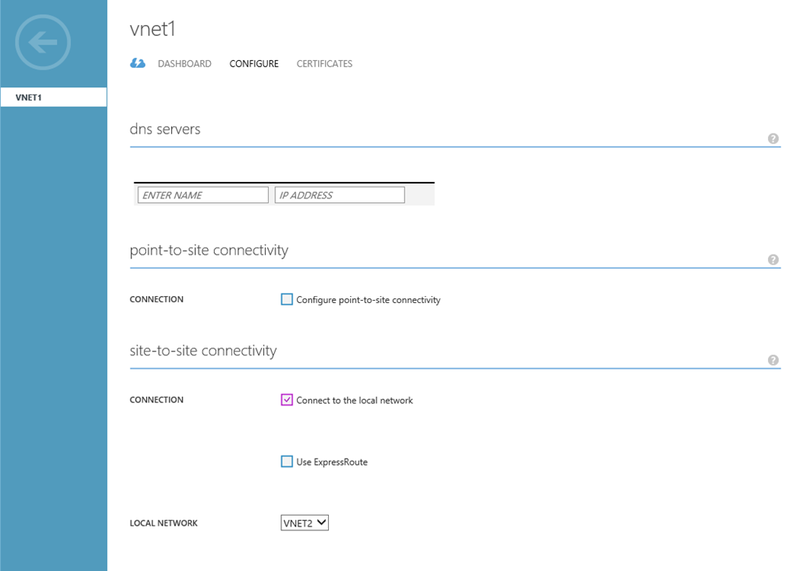 VNet to VNet supports connecting Azure Virtual Networks. It does not support connecting virtual machines or cloud services NOT in a virtual network. 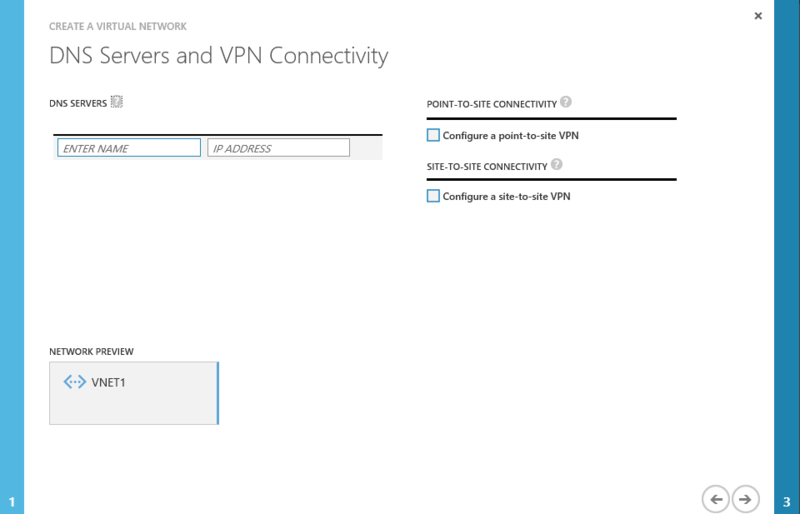 VNet to VNet requires Azure VPN gateways with dynamic routing VPNs – Azure static routing VPNs are not supported. 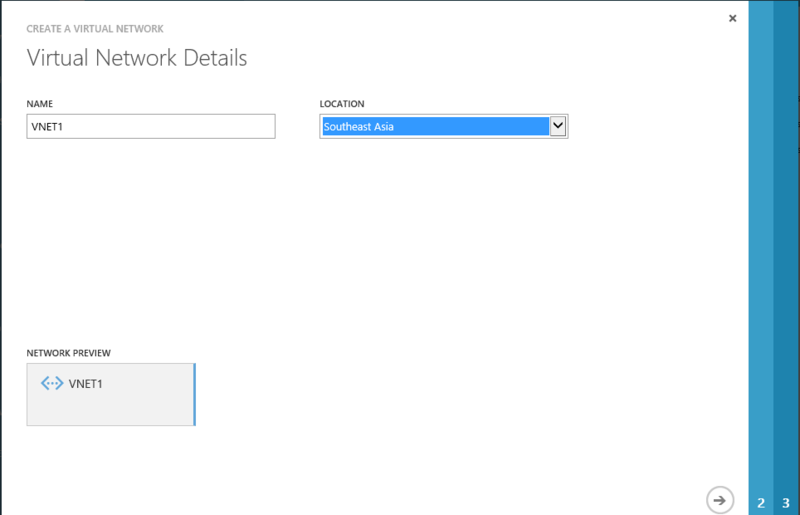 Connecting multiple Azure virtual networks together does NOT require any on premises VPN gateways, unless cross premises connectivity is required. Virtual network connectivity can be used simultaneously with multi-site VPNs, with a maximum of 10 VPN tunnels for a virtual network VPN gateway connecting to ether other virtual networks or on premises sites. 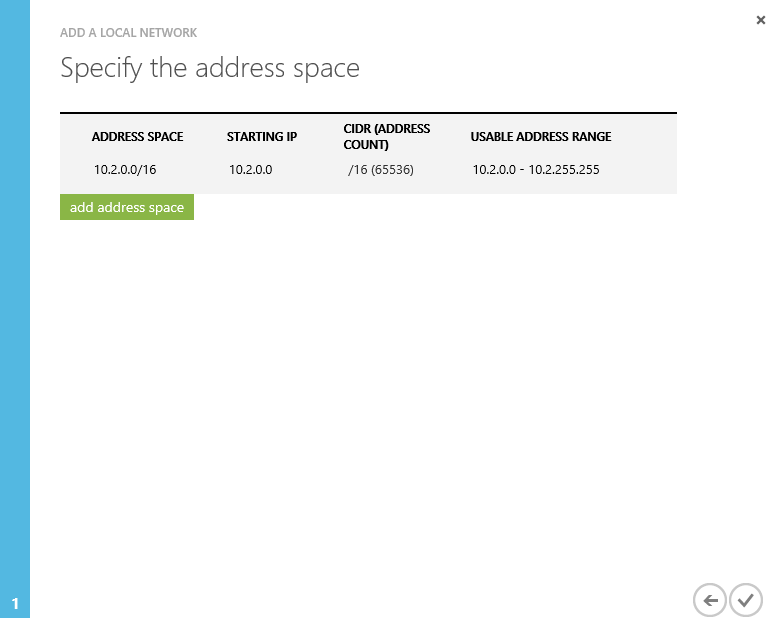 The address spaces of the virtual networks and on premises local network sites MUST NOT overlap. Overlapping address spaces will cause the creation of virtual networks or uploading netcfg configuration files to fail. The virtual networks can be in the same or different subscriptions. 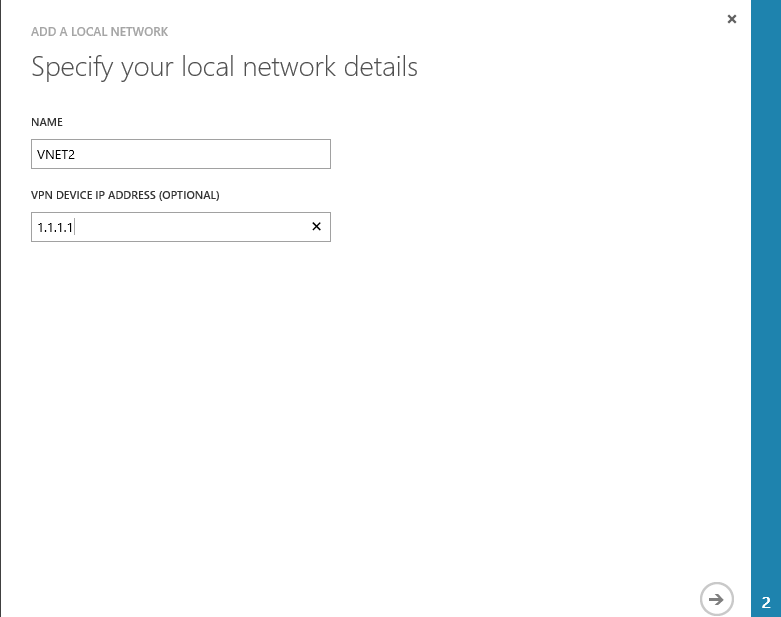 The virtual networks can be in the same or different Azure regions (locations). Redundant tunnels between a pair of virtual networks are not supported. A cloud service or a load balancing endpoint CANNOT span across virtual networks even though they are connected together. 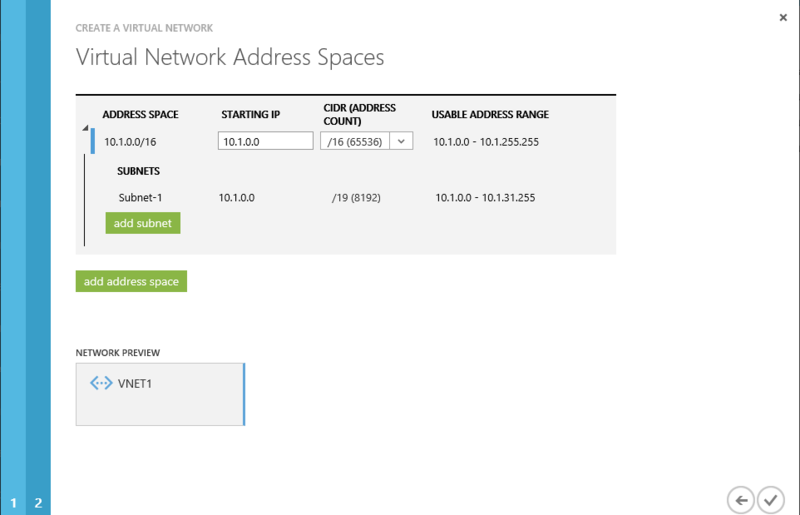 All VPN tunnels of the virtual network, including P2S VPNs, share the available bandwidth on the Azure VPN gateway and the same VPN gateway uptime SLA in Azure. Create the dynamic routing gateways for each VNet. 1. Plan your IP address ranges – Planning is the key on this part. If you ever plan to extend this setup to your on-prem private cloud then plan well ahead about your IP address ranges. Don’t allow them to be duplicate. Same goes among the Azure subscriptions as well. 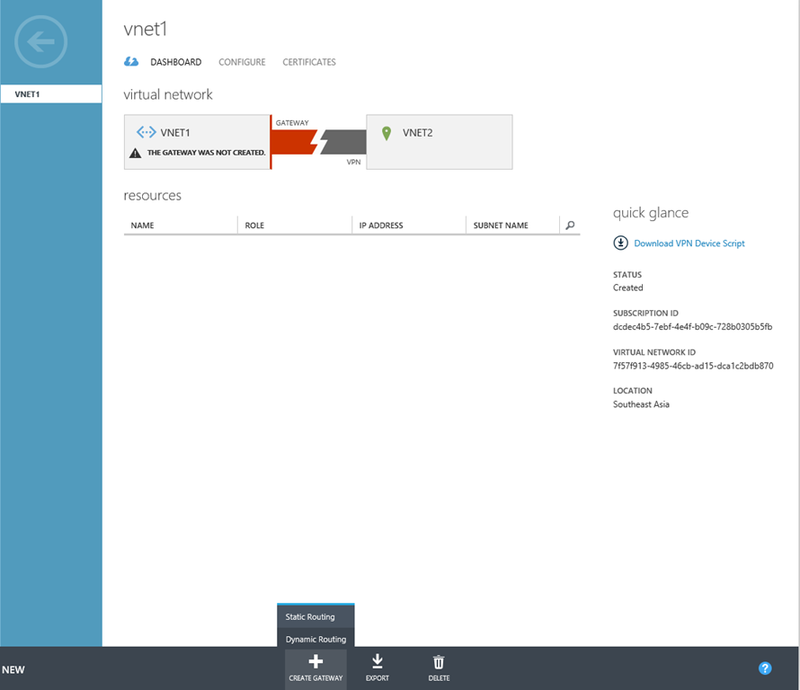 So in our scenario we’ll create two Virtual network between two Azure subscriptions as VNET1 & VNET2. rom the perspective of VNet1, VNet2 is just another VPN connection that’s defined in the Azure platform. And from VNet2, VNet1 is just another VPN connection. They’ll both be identifying each other as a local network site. Keep in mind that you must make sure that none of your VNet ranges or local network ranges overlap in any way. Below I’ve shown an example of how to define your VNets. Use the ranges below as a guideline only. Write down the ranges that you’ll be using for your virtual networks. You’ll need this information for later steps. You don’t have to select DNS server or do any configuration on this page. But if you’re planning to have name resolution between your virtual networks then you’ll need to configure your own DNS servers. As pre planned I’ve change the IP address range for 10.1.0.0/16. Go ahead and complete the wizard. Now carry out the same task on your other subscription. Only changes are VNET1 will be VNET2 and IP address range is 10.2.0.0/16. The VPN device IP address you provide in the above is not matter right now. Once we obtain the correct VPN IP address we’ll be entering that. Now on the first Azure subscription click VNET1. Click “Configure” Click “Connect to the local network” under Site-to-Site-connectivity section. Click “Save” on the bottom of the screen. Confirm the action. This will take around 10 –15 minutes time to complete. Carry out the same action on the other Azure subscription as well. When the gateway status changes to Connecting, the IP address for each Gateway will be visible in the Dashboard. Write down the IP address that corresponds to each VNet, taking care not to mix them up. These are the IP addresses that will be used when you edit your placeholder IP addresses for the VPN Device in Local Networks. 5. Connect the VPN gateways – When Gateway creation completed we can go ahead and setup IPsec/IKE pre-shared key (same key) in both side. This action has to be carried out in the PowerShell. Now give little bit of time and refresh the Azure portal page. You’ll find the VPN connection established.